After a very long absence here, I finally managed to relaunch this site! I’ve had a lot of work with my project, but now I’m (almost) ready with all stuff. 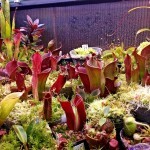 I designed and built one large terrarium, mainly for highland Nepenthes species and some tropical epiphytes. The whole construction is based on aluminium profiles along with polycarbonate and plexiglas sheets. 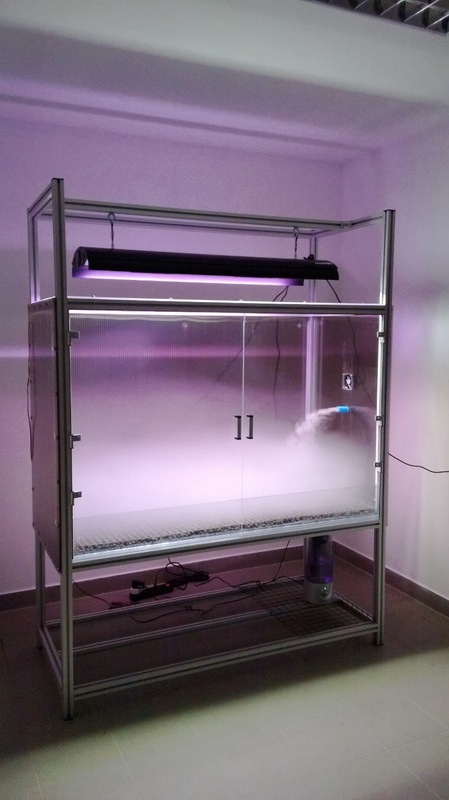 Currently it’s lighted with 2x150W HQI lamps, but soon to be replaced with my next self-built LED panel. 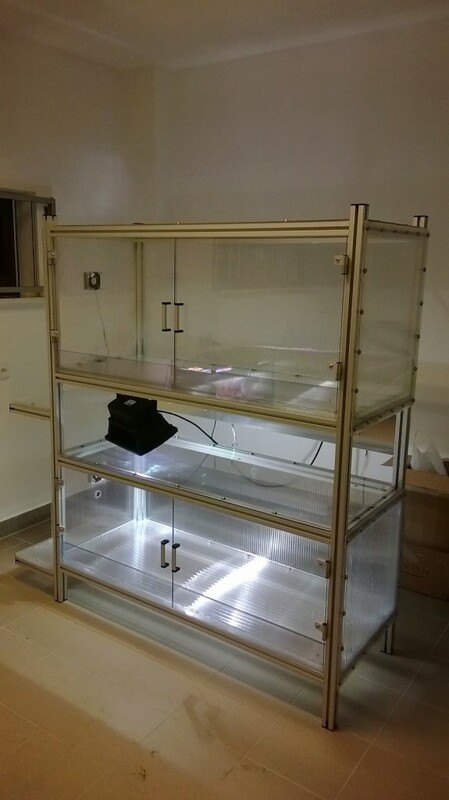 The dimensions are 150x60x100 cm, with a 40 cm high Cephalotus chamber underneath (yet to be done). Rest is all the same as always – PC fans, ultrasonic humidifier, automatic time controllers…you know what I mean. 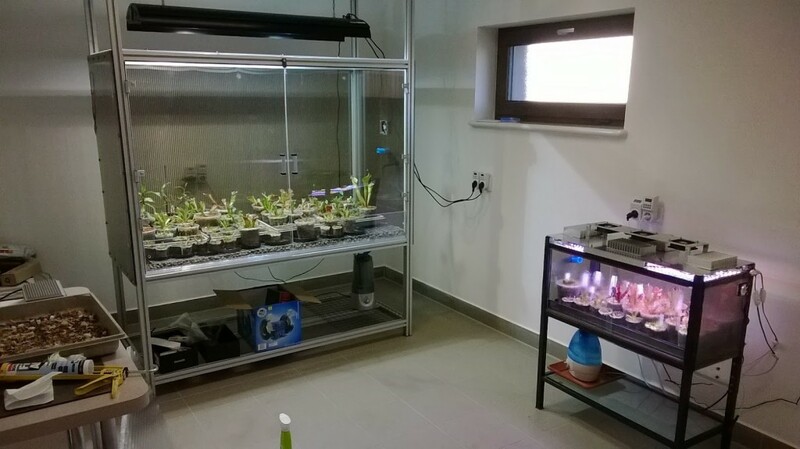 The second setup is nearly identical, just split into 2 separate terrariums (one is 50cm high, and the second one is 60cm) designed specially for my growing Heliamphora & other South American plants collection. I’m finishing my next LED panel, so soon it will start it’s service as a new home for my most precious species. What about my collection, everything is growing perfectly. I managed to get some new species and hybrids, what gives me opportunities to make more and more hybrids in the near future. Finally, my little indoor nursery has started to run forward faster and faster, what I’m really excited about! There’ve been a lot of things about which I could talk now, but I don’t think it’s really necessary – I’ve come up with a new vision of my blog. I’m still going to post news from my growroom, but once I’m finished with everything, I’m just going to focus mainly on the plants – not only carnivorous! 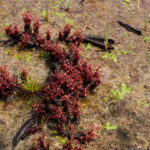 I’m slowly getting into discovering some new fields of interests (such as antplants, orchids, interesting succulents), so I would like this blog to become more wide-themed. If possible, I want to make this site interesting to as many people as I only can, and maybe ignite a kind of spark in some of them – that kind of spark that years ago made me amazed and curious about the wonders of nature all around us! I still have to figure out how to run my site in the most effective way, but I hope that you’ll help me with that! All suggestions are welcome! To finish for now, there are some quick shots from my basement – still got some work to do as you can see.